Contributor: Vincent E. Rone, Ph.D. This blog post demonstrates how the harmonic accompaniment of a video-game character’s theme, “Zelda’s Lullaby” from The Legend of Zelda series, can parallel the portrayal of the character. Specifically, the harmonic accompaniment of the lullaby is ambiguous; it avoids tonic harmony and lingers on the dominant. The elusive tonality parallels the elusive nature of the Princess herself. Princess Zelda. Fans of The Legend of Zelda series immediately recognize the name and the importance of the character. She is the Princess of Hyrule, the location of the majority of the games. She keeps the Triforce of Wisdom, one of the most powerful artifacts in the game’s mythology; she aids the protagonist, Link, in his quest to save Hyrule from the demon thief, Ganondorf. In the most recent canonical installment of the franchise, Skyward Sword, Princess Zelda even reveals herself as an incarnation of the goddess Hylia—talk about improving one’s seat. For all of these accolades, Zelda is quite elusive and difficult to categorize. Although she is a towering figure in the games, she does not appear as often or as consistently as one might expect. She is both wise and powerful, but players never really get to see the extent of her abilities due to her checkered appearances. She also is a protector and guide, but she herself requires protection and guidance, as villains relentlessly pursue her (Ocarina of Time and Skyward Sword being good examples). In effect, Zelda defies neat-and-tidy description, which makes her character all the more interesting. She also wears a number of hats. For example, in the original 1986 release, Zelda is Ganon’s captive whom Link must save. She only appears at the end of the game for about 10 seconds, despite the quest centering on her rescue. In the Ocarina of Time (1998), Zelda takes a more active role interacting with Link, but she absconds just when the game gets going and thenceforth helps Link disguised as Sheik. As Sheik, the princess constantly evades Link when he attempts to approach her until near the end of the game. In Twilight Princess (2006), players see her all of three times; she most often is mysteriously shrouded in a black cloak and remains a prisoner in her own castle. In Skyward Sword (2011), she’s portrayed at first as a student and Link’s best friend. When she disappears early in the game, Link devotes himself to finding her. There are moments when he comes close to reuniting with her, but something always prevents their reconciliation. Zelda consequently remains beyond Link’s reach. It is as if the power of her character comes from a spectral rather than from an apparent presence. More importantly, our experience of gameplay through Link’s agency creates a sense of tension sustained through every thwarted attempt to reunite with the princess. The musical theme, “Zelda’s Lullaby,” presents several parallels to the characteristics of the princess, especially with regard to elusiveness. Having written about the significance of the music in Twilight Princess for the fan website Zeldainformer.com, I became quite familiar with themes, motifs, and their various iterations in the Zelda franchise.1 The lullaby debuted in the SNES release, The Legend of Zelda: A Link to the Past (1991), and has since increased in both utility and mythological importance, culminating in a retrograde iteration of the melody as the basis for Skyward Sword’s “Ballad of the Goddess.” Admittedly, I never really appreciated the significance of “Zelda’s Lullaby,” even though I must have played it hundreds of times in the Ocarina of Time’s Water Temple alone . . . I analyzed the melodic and harmonic components of “Zelda’s Lullaby” and discovered that, while set against a tonal backdrop, the harmony is elusive, much like the princess. The piece evades a number of defining tonal features; chief among these is the absence of authentic tonic resolution (a perfect-authentic cadence). Although there are several instances when we expect the dominant to resolve to the tonic, we never really get it. 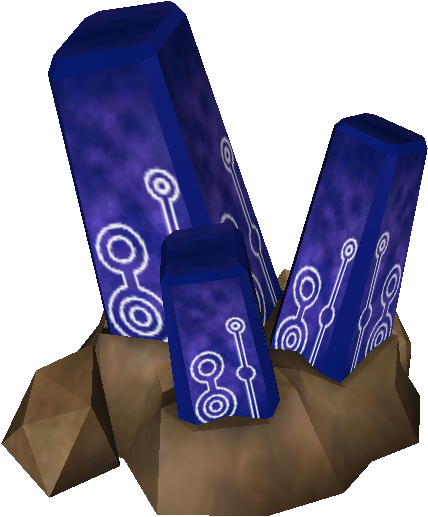 Tonic resolution always sounds like it’s within reach, but it evades our aural expectations, much like how Zelda’s evades Link (and us). The lullaby, however, suggests a tonic, which reinforces the princess’s elusive or even spectral presence. Since the piece challenges fundamental questions about tonality, “Zelda’s Lullaby” is a kissing (distant) cousin to Robert Schumann’s “Im wunderschönen Monat Mai” (“In the Lovely Month of May”) from the Dichterliebe (1840). They both foreground tonal ambiguity, lingering especially on dominant harmony, and both pieces are part of larger musical works. Regarding the Schumann piece, many scholars have debated the question: “What key are we in? !”2 Well, give a listen to the brief Schumann piece, and decide for yourself. “Im wunderschönen Monat Mai” is one of those pieces that almost every music student in college has had to analyze because of its ambiguous tonality. The opening measures of the piano accompaniment indicate a strong iv6–V7 movement in F# minor, but it never resolves there. Yet there are instances of V–I in A major throughout the piece. The most complex analytical component, however, is that the piece neither opens nor ends in either F# minor or A major. Rather, it ends on a C#7, which listeners often hear as a V7 of F# minor. That dominant-seventh chord becomes—at least to me—the one with the most gravitational pull and interest; it suggests F#-minor harmony. But C#7 is an unstable chord within a tonal context, one that promises resolution. Ultimately, we’re denied that resolution in “Im wunderschönen Monat Mai.” Schumann seems to put a lot of weight on dominant-seventh harmony by ending the piece on it. Fortunately, the following song in Dichterliebe offers a possible answer to this issue, but those are thoughts for another time. The jury consequently is still out on whether or not “Im wunderschönen Monat Mai” is either in F# minor or A major, despite no shortage of scholarly ink spilled. At first glance, nothing seems out of the ordinary. The piece is 24 bars and consists of three large period phrases of eight bars (the solid slurs), which themselves are made up of two antecedent-consequent phrases (the dotted slurs). So far, so good. The phrasing is regular and symmetrical, behaving like a good classical piece with an AAB form. The melody also appears to be tonal, as it satisfies enough criteria to be in the key of G major. For example, every eight-bar phrase opens with a tonic-triad pitch, most often B. Several phrases end in what appears to be an implied half cadence (the A could be the fifth of the dominant D major). Only the phrases ending in bars 16 and 24 could connote tonic resolution in G major. In effect, this melody easily could accommodate I–V–I progressions with a couple of subdominants and secondary-dominants thrown in for good measure. Once again, the melody appears to have mid-to-late 18th century characteristics in terms of phrasing, contour, and implied harmony. This is, as they say, where the plot thickens. The actual harmony of the theme does not correspond easily with the implied harmonies of the monophonic setting. In fact, if we were to compare the implied harmony to the actual harmony, the only things that match are the half cadences (assuming we’re still in G Major) in measures 8 and 16. Despite the unusual harmonization, there are a few musical elements that still suggest tonality in “Zelda’s Lullaby.” First, there’s a pedal tone on C in the bassline for the first four measures, which prolongs dominant harmony in 4/2 inversion. Its resolution in measure 5 is the one and only time that we hear a semblance of tonic harmony. In addition the bass outlines a chromatic descending progression from C to A throughout measures 1–7. The chromatic bass progression, in turn, prepares the half cadence (D7 chord) in measure 8 and makes the arrival of dominant-seventh harmony all the more effective and anticipatory of tonic resolution. All of this, of course, repeats in measures 8–16, which reinforces tonal procedures. In effect, there’s a lot of dominant harmony in this piece. The rest of the harmonic interest, however, frustrates tonality, making the all-important tonic resolution even more elusive. One would think that the half cadences in measures 8 and 16 would resolve with a perfect-authentic-cadence (PAC) to G major. But V harmony in measure 8 goes right to IV+7 harmony in measure 9. That’s unexpected for tonal motion and also a text-book retrogression. Also, the only times we hear tonic harmony in measures 5 and 13 are in an unstable first inversion, have an added ninth, and are part of a linear progression. So, the appearance of tonic harmony is weak and appears fleetingly; it doesn’t give us that sense of resolution we’ve come to expect in tonal music. The B phrase, measures 17 to the end, makes things even messier. I’ve analyzed it in both C and G major, but there’s no clear pivot chord to shift to C major. The accompaniment descends in step motion on seventh chords, which recalls or perhaps even fulfills the opening linear progression of the bassline in measures 1–4. Measures 18 and 22 also show what could be the relative minor chord (E minor), but it, like the G-major harmony of measures 5 and 13, is part of a descending linear progression. So, it doesn’t sound like a strong presence of the relative minor, which, again, frustrates identification of tonality. Even in the melody line, one would think that the melodic leap of G–C–G in measures 22–23 in the treble clef would reinforce a G-major tonality. The high G at the end of the piece exceeds the range of the melody, which draws attention as the pitch hovers above everything else. Yet the underpinning harmony and the harmonic progressions that prepared the melodic leap don’t accommodate G-major harmony. Consequently, the high G sounds recontextualized and unresolved under—you guessed it—V7 harmony at the end of the piece, much like the Schumann piece. Unlike “Im wunderschönen Monat Mai,” however, “Zelda’s Lullaby” is not followed by a fixed piece that might possibly answer the question about the piece’s tonality. Any number of musical queues could follow the lullaby, depending on the game and context. The tonality of “Zelda’s Lullaby” remains elusive. Things don’t seem congruent in “Zelda’s Lullaby.” Something always evades something else. The harmonic progressions counteract the tonic contours of the melody. As a result, the piece, although beautiful and peaceful, eludes harmonic resolution and foregrounds the instability of dominant tension. As I’ve mentioned earlier, the tonic sounds within reach, but it escapes us. It’s like Link being in reach of Zelda, but, for some reason or another, she must evade him. The harmony of the lullaby is a fitting, deliciously unassuming tribute to the complexity of the princess. With regard to broader musical contexts of The Legend of Zelda games, tonality represents but one feature of the overall soundscape. 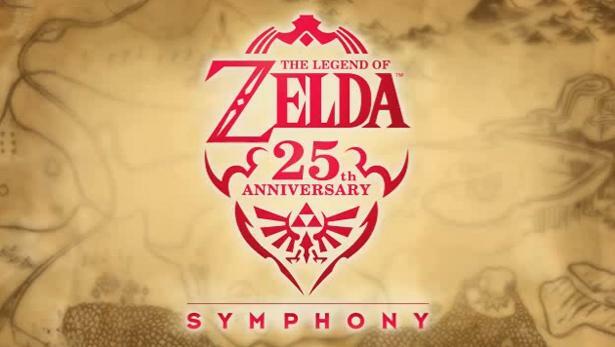 The accompaniment to some themes are stronger in their tonal motion than in “Zelda’s Lullaby.” For example, the iconic theme of the game—Link’s theme—has strong dominant-to-tonic movement, as does the “Ballad of the Goddess” from Skyward Sword. Other pieces are triadic but avoid tonal inflection to varying degrees. I think of the famous “Hyrule Field/Overworld” and “Midna” themes from Twilight Princess. Those pieces are more modal in character and have tonal centers but do not employ harmonies related by fifth and the tension that dominant harmony provides. Ganon’s theme, however, is saturated in chromaticism and employs ascending chord changes by half and whole-step and is the least tonal. Yet, compared to other major themes, “Zelda’s Lullaby” is uncommon. The theme features several tonal and voice-leading procedures, but it avoids the most important features of tonal harmony. It is therefore deceptive because it sidesteps tonic resolution. Similarly, Zelda herself also is deceptively tricky (Complicated? Mysterious?) to grasp. She possesses many different and sometimes conflicting qualities, but we never see enough of her to fully understand why. Her lullaby, one of the most iconic themes of The Legend of Zelda franchise, offers listeners an aural equivalent. It has elusive qualities, as well. But, I suppose, their ability to evade expectations is what makes them all the more interesting and alluring, continuing to enthral players with each new addition to the franchise.